I have 30 years of experience listening to customers' landscape needs and offering solutions to landscape problems. Perhaps you want to turn your backyard into your favorite outdoor room, a place to relax or play with family and friends. With my own experience, my network of experienced installers and my knowledge of quality landscaping products, I will take your project from design through the complete installation process, and can be contracted for landscape maintenance as well. 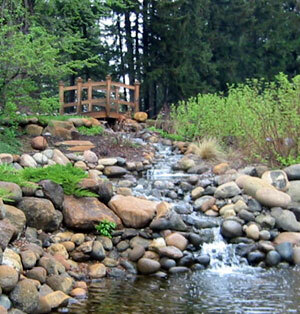 As a small landscape company, I am able to coordinate and manage all aspects of your project. I am strongly committed to quality products and installation, and would like to build a reputation of quality service as well.